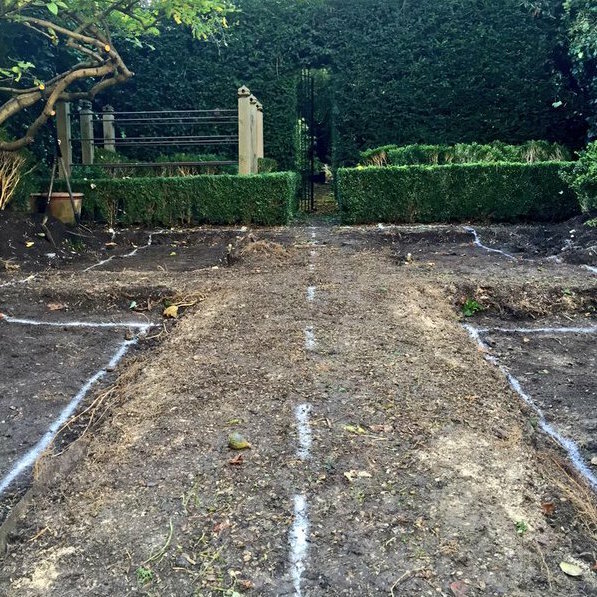 We're currently working on an exciting garden redesign at the moment. 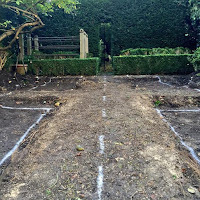 We've done some of the key parts of the job, like moving the box hedging and digging in rose bushes for future transplanting, cutting back ivy and fig trees. We can start to see the new garden literally taking shape now. Gardens like this, and clients, are such a treat to work in and with. It's so exciting to come to work everyday and see the transformation you're making to someone's home. -- Ok, so it's not technically someone's actual house we're working on, but today more and more people (certainly in London) have transformed their garden into an outdoor living space. So in a way, when we work on projects like this we do feel like we're making a difference to how people live. Our clients often find they're able to spend much more time outside when they hire us because we make their outdoor space clean and inviting ... Like a living/dining room outdoors.